Crankcases must be bored to accept larger 3-5/8" bore cylinders This kit must be used with small diameter flywheels. Not legal for sale or use on CA or EPA pollution controlled vehicles 1978 and later. 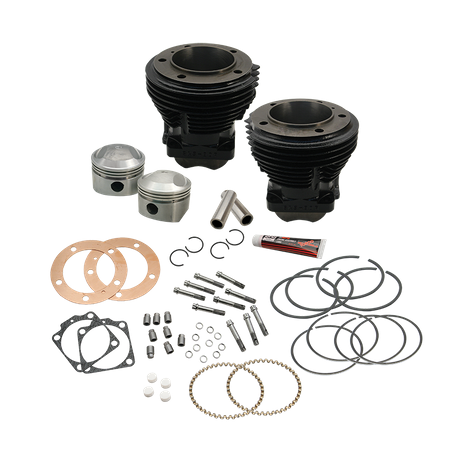 Cylinders in this kit are longer than stock - a longer manifold must be purchased separately Frame clearancing may be required due to the longer than stock cylinders in this kit.